It’s been a couple months since my last article. I missed the Rendezvous Shoot last month because I was in Indiana hunting deer. Unfortunately, I didn't get anything. From there, I went to Tennessee for a family reunion. The place where we stayed was located on 77 acres of beautiful country where the deer and wild turkey roamed around. The icing on the cake was that the weather was 103° when I left CA and the weather back there the whole time was in the low 70s. What a relief. Our Christmas Charity Shoot is on December 11th and we will need help on Saturday, December 10th and on Sunday, December 11th, the day of the shoot. Please call Tony to volunteer. We are trying to get some range work done before the rainy season gets here. If you’re available during the week, John Peot and Bill Waltz can always use the help. They are out there Mondays, Wednesdays, Thursdays, and Fridays. Come out and give us a hand and earn credits towards your next year’s dues. As everybody knows, this is the shoot we collect toys for kids. If you know of a needy family that we could help, we ask our Members to let us know. What we need from you is the age of the kids and their gender so appropriate toys may be given. Early Sunday morning, your list needs to be given to us before the shoot begins so the gifts can be bagged and are ready by the time the shoot is over. Thank you for your support. Oranco Club Board Member Election Nominations are now open. If you are interested in a Board Member position and want to know more about what is required, contact any Board Member. Good evening all and I hope this Newsletter finds you well. The last few weeks have been hectic as we head into the holiday season and try to get some hunting in. As I didn’t write an article last month, I will try to get everyone up to speed. The State 900 Target Championship in September was a great success. We had 90 plus shooters and the weather was good. We had a minor glitch with our newly repaired target butts, but we were able to overcome it. Thanks to Rocky Chisholm and his group as well as Rick Mckechnie and the Hi Tech crew for bearing with us and pulling arrows all day. It is my intention to buy 2 more targets for next year and expand the shoot so we can have 14 lanes and a potential for 112 shooters for the weekend. Stay tuned for more details. We had a lot of last minute calls that I just could not accommodate because of space. I am sorry to those of you that I missed, but you need to get in early as this thing is starting to fill up quicker every year. This is a good time to bring up a point of courtesy here in the real world. Please keep in mind that when you pre-register for a limited event like this, it is polite to let people know when you are not going to show. I turned quite a few shooters away this year due to having limited space. This is especially disconcerting when I then had NO SHOWS for the event. Those were spaces that other archers would have like to have filled. Please make it a point to let someone know you won’t be at a shoot, no matter where it is, if it is limited space and you pre-register. The October Tomahawk shoot was another great success. It was hot again, as usual. We had 220 plus shooters and I think everything went well. I would however say that the work party turnout was extremely poor. I want to take a moment to bring up something I know is on the mind of every Board Member. The continued poor turnout for the shoot set-up work parties is starting to become a problem. So much so that we have given serious consideration to cancelling one or more of the 3-D shoots for next year. Pete Whitworth had a crew of 5 guys setting up targets on Saturday before the Tomahawk. That is unacceptable, especially to the guys that were there setting them up. This is a marked yardage shoot and as such requires that we paint spots on the animals (Pete’s job) and set up the Tomahawk target. This is a lot of work for 5 guys. I am also embarrassed to say that we were not even able to set up cook shacks out on the range due to a complete lack of available cook shack help. It was the usual 4 of us doing registration and target pick up was ME and the Wilkens family. Pretty weak guys (and gals)…..If Club Members want these shoots to continue then they need to find the time to get involved in this mess. If you have any new ideas, then get out here and let’s talk about it. If we don’t start getting the help to do this, then we are just going to have to take a little more drastic path. Nobody wants to see that. Hunting season is upon us so be careful out there. Most of the gun seasons are in full swing so don’t become a target. If you are looking to do some small game hunting and need to get licensed, then come on out to Raahauge’s shooting enterprises and get your Hunters Education certificate. It won’t help much for big game this year, but it will get you ready for the Pigs and Spring Turkey. Our next class is on November 5th. The range is looking really nice right now. If you have a Target Assignment then please get ready as we just had rain today and we are looking at rain again by this weekend. All Members please be aware of the bee hive that we have growing in the dead Eucalyptus tree by Mountain Target 16. I have driven by it several times and have had no problems, but anyone with any kind of bee sting allergies, please be aware. Just a few range rule remarks. I caught a guy the other day shooting the range backwards. Please understand that this is a dangerous activity. You could potentially walk into another archer at full draw. Shooting the range backwards is always a bad idea. This guy was a new Member and just didn’t know any better so it was a simple, polite, and friendly conversation. Keep in mind that it is never difficult to have a conversation about the range rules with another member if we approach it the right way. I have however had to have a couple of tough talks with Members recently about dangerous behaviors. Please keep in mind that the FITA lane is the only place that we allow long distance shooting. If you want to practice 100 yard shots because you feel that you will be hunting at that distance, then who am I to stop you? 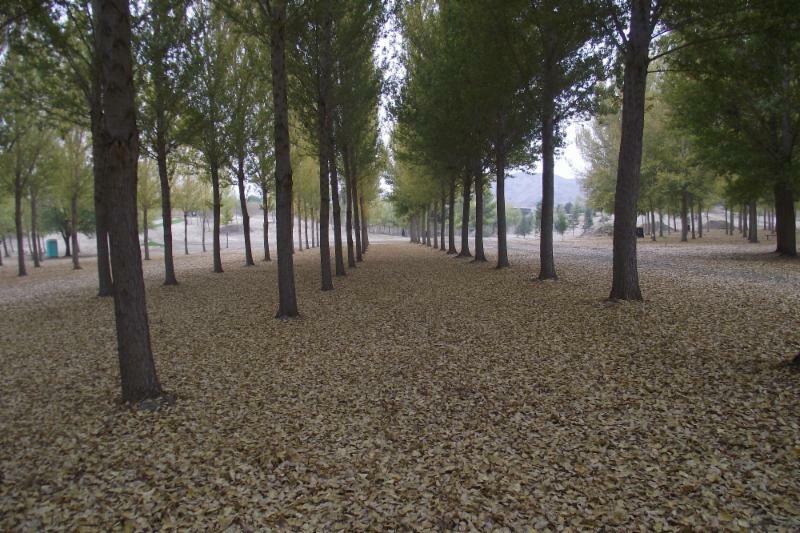 Please keep in mind that the FITA lane is the only area on either range where anyone will be expecting that. Don’t do it out on the Field ranges as it is dangerous. If you would like another target other than a 122 for the FITA butts then just ask and we will provide one for you. Please also keep an eye out for target campers. I have not caught anyone recently, but I am always watching. We have not kicked any one out of the Club yet and I would hope never to have to do that. But, as the saying goes, sooner or later we may just have to shoot a hostage! Don’t let it be you. 4 arrows per target/archer on the roving ranges no exceptions. Thanks, in advance for your understanding. All in all we have had a good year so far and we are looking forward to finishing strong. I will be headed to the State meetings in January and will be working to secure the State Field in the single site (Oranco) again this year as well as finalizing the State Target 900. Let us know your thoughts for increasing participation at these important events. Please make it a point to get involved in the State CBH/SAA meeting in January. The entire event is being held at the Ontario Radisson and it is the Big Game Banquet so it should be a lot of fun. It’s a great opportunity to see your CBH dollars at work right here in your own back yard! Meetings will be Friday, Saturday, and Sunday with a Banquet on Saturday night. Great fun for the whole family. As always, I thank you all for making our Club great and look forward to seeing you out at the range! 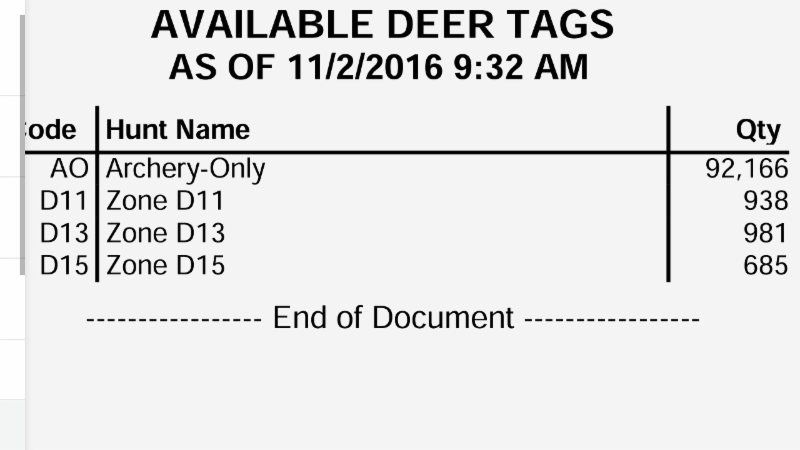 There are still Deer hunting tags left as of 11/02/2016 for the state of California. See the diagram above for more information. To receive emails from the CDFW about hunting and fishing contact the CDFW. 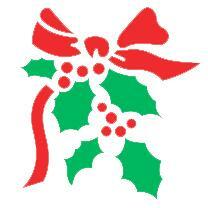 Don't forget, December 11th ORANCO will be hosting the CHRISTMAS CHARITY SHOOT all 3-D. Send me your name and address and I will send you some game cards. The deadline for turning them in is January 31, 2017. Once again, I am asking everyone for their updated CBH or NFAA cards. Just like the sign on the fence says, If we do not have an updated card on file you will not get the gate code come January 1st! NO EXCEPTIONS! Also, please always carry your Membership card. If at anytime a Board Member asks you for it and you don't have it, you may be asked to leave. As of 10/23/16 we have 345 members. Thank You. ~Scalps and Skins~ I am getting ready to set the dates for Scalps and Skins for 2017 and I am looking for some feedback. I am currently planning to have 24 targets at all the shoots this next season instead of the 12 targets we had at some of the prior shoots. ~How many shoot dates would you like to see for this next year’s Scalps & Skins shoots? ~I would also like to get some feedback as far as set ups, what you would like to have or not have for future shoots? ~What can we do to make it better for everyone? Work has been ongoing on the Cook Shack that is currently under renovation. Our thanks go out to Jason Duysings and his employee for all of their help. A warning was put out to the drivers of the new quad as the handlebars are lower than our other one, which has resulted in a couple of minor incidents. We had another Hit and Run occur on the front fence. The police were called and given a statement. It happened either Friday night or Saturday night. Let us know if any of you have any further information regarding this matter. An email was sent to all of the Board Members in regards to the Club By-Laws. Any changes that need to be made will be noted and then turned into the Board for review by November 5th, 2016. 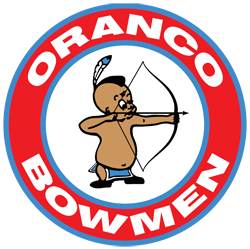 Oranco was not awarded the NAFAC this year. it went back to Florida. Joe was not happy. He said that Florida doesn't even have enough targets to operate the shoot properly, which ends up taking them longer to shoot it. Joe met with the Army Corp of Engineers for the Range Inspection. They took pictures of all of the structures on the property to include the buildings and bridges. Pete mentioned that the Tomahawk Shoot went pretty well. There were some issues with Score Keeping, but David took care of them. We are hoping to have our Club Secretary, Don Reiter, back in February. His son Kyle has been helping out the Club in the interim. Chriss mentioned that the work party for the Tomahawk Shoot was really thin. He mentioned the shoot went well, although it was hot. Samantha stated that as of September 13th, 2016 we had 327 members. As of the day of the meeting, October 12th, 2016 we were at 344. The Newsletter Editor contacted the Diamond Bar Golf Couse in regards to obtaining pricing and menus for the 2017 Annual Club Banquet. Since the meeting, the information has been gathered and has been forwarded along to the Board for their review. Joe still needs to have the Club House phone checked out to find out why it does not always ring. The topic of having internet for the Club House was brought up again and was decided against. It seems that no one is willing to run a hardline fiber optics for internet out to the Club House. Which leaves us with either satellite or cell phone. The Board decided the ends did not justify the means at this time. Brett Scott bought Bear State Archery Club. He requested a copy of the Oranco Shoot Calendar. Pete mentioned that we had 13 arrows come back from the hill and the road (Eucalyptus, by Target # 5). Five of those 13 came from the 71 Freeway. Mark Houston donated a grill to the Club. Thank you. There are plans to repair some of the targets. A ribbon will be placed on the ones to be repaired. This includes the repainting of the center of the targets. Joe mentioned the difference between a 45° kill shot and a 90° kill shot for scoring accuracy. November begins the opening for Board Member Nominations. If your are interested in any Club Board Member position just let any Board Member know. Feral hogs are intelligent animals. Couple this intelligence with their size, speed, and strength, and a hog can quickly turn the tables on an unlucky or unwary hunter. As these hunters demonstrated, you always need to be on your toes when hunting feral hogs, especially when they are at close range. A hog is not as dangerous as an angry buffalo or elephant, but a charging hog can quickly turn an ordinary hunt into a dangerous situation. 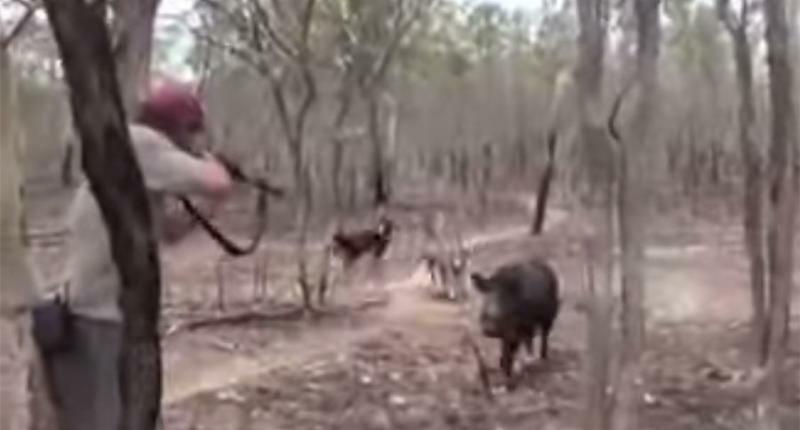 More than one hunter has had their day ruined by a very angry feral hog. Be cautious next time you’re out in the woods, so you don’t end up in a video like this someday! Enjoy lunch on us as we host our Grand Opening with Free Tacos. Come out to Willow Creek and see our Complete line of Bows and Equipment. See what's new for 2017 and meet the "New Staff" at Willow Creek Archery. There will be a raffle for prizes.